Shahid Kapoor is busy shooting for his currently underproduction venture Kabir Singh. Said to be a remake of the film Arjun Reddy, it is being directed by Sandeep Vanga and also features Kiara Advani. But away from the sets of the movie, Shahid took time out to visit the Gauri Khan Design store with his wife Mira Rajput. 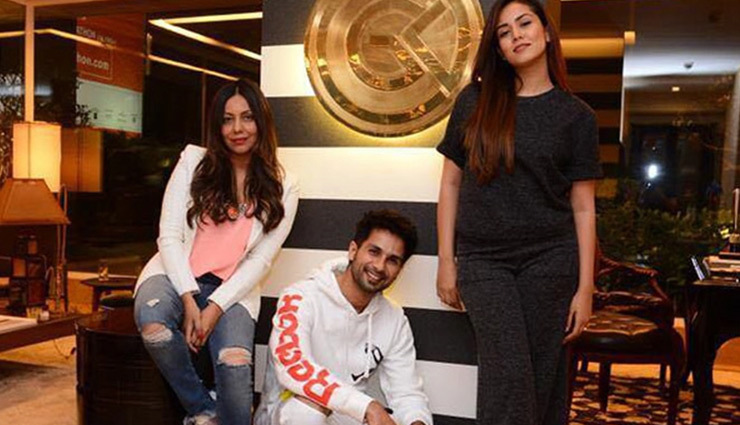 Though they were there shopping for some designer furniture, Shahid and Mira had some fun too as they decided to promote Gauri Khan’s store with Shahid become a videographer while Mira was the host. As for Shahid Kapoor’s film Kabir Singh is produced by Bhushan Kumar, Murad Khetani, Krishan Kumar and Ashwin Varde. Currently being shot, the film is being readied for release later this year.